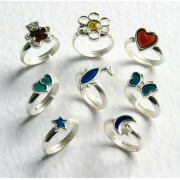 Wholesale rings can be found here at Talbot Fashions and we have so many different styles on offer. 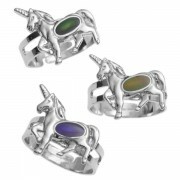 Boys, girls, ladies and men can enjoy our wholesale rings and we ensure that we cater for all age groups and sexes with our range of wholesale rings UK. As ring wholesalers we do our best to source the most diverse range of wholesale rings we can; ensuring we provide a style to suit every taste. 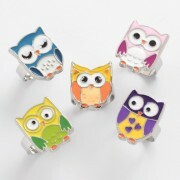 We have bright, colourful and cutesy wholesale rings as well as delicate, silver and ornate rings for you to enjoy. 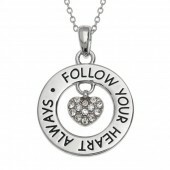 And every style in between! We love rings here at Talbot Fashions and they should be worn at every opportunity! 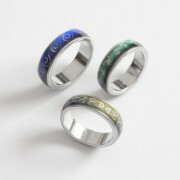 Rings really add some glitz and glamour to a person and men can make a fashion statement with rings too. Choosing the right ring can really help coordinate and complete your outfit! No matter what the occasion; everyday wear, weddings, birthdays, nights out, a ring on your finger never goes amiss and that’s why we’re so passionate about wholesale rings. 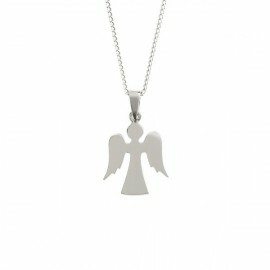 We’ve been ring wholesalers for a number of years now, specialising in bringing you all kinds of new jewellery lines and we’ve marked ourselves out as the leading fashion jewellery wholesalers here in the UK. 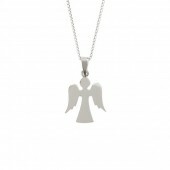 You can always rely on our products to be of the highest quality and our wholesale rings are no exception. 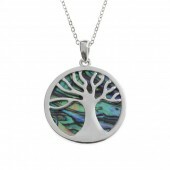 We pride ourselves in delivering reliable and on-brand products that our retailers can sell. 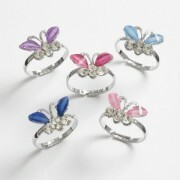 For the best wholesale rings UK wide look no further than Talbot Fashions. 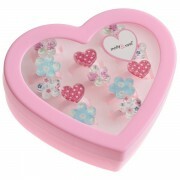 Heart-shaped tray of 12 adjustable childrens acrylic rings .. 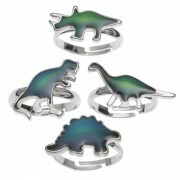 Box of 36 adjustable Dinosaur colour changing mood rings, assorted dinosaurs .. 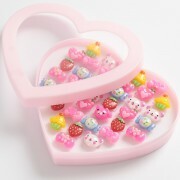 Box of 36 Children's adjustable Unicorn colour changing mood rings ..
Heart shaped tray of 12 bright coloured enamel painted adjustable metal owl rings, various colours per tray ..
Heart shaped tray of 36 neon & bright coloured enamel painted adjustable metal butterfly rings, various colours per tray ..
Heart shaped hard plastic tray of 36 assorted design children's adjustable rings .. 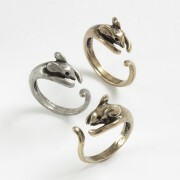 Box of 12 vintage style wraparound burnished mouse rings, 2 colours, 3 sizes .. 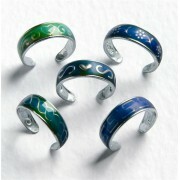 Box of 36 Celtic pattern mood rings, 3 designs, assorted sizes .. 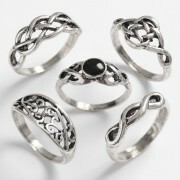 Box of 36 plated metal Celtic design rings, 12 designs, assorted sizes .. 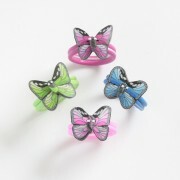 Box of 50 adjustable butterfly rings with acrylic wings and inset stones, assorted colours .. 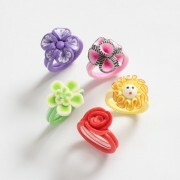 Box of 100 assorted sizes childrens fimo flower rings .. 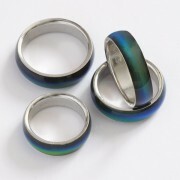 Box of 36 mood rings in assorted sizes and designs .. 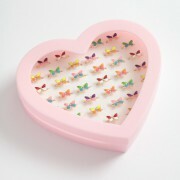 Box of 100 assorted sizes childrens fimo butterfly rings .. 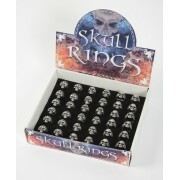 Box of 36 pewter skull rings in assorted sizes ..
Childrens adjustable mood ring, box of 36 ..
Childrens adjustable mood ring box of 36 pieces .. 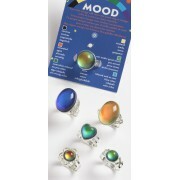 Mood ring box. 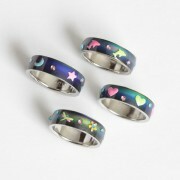 Rings change colour. 36 pieces. Assorted sizes ..
Card of 3 metal toe rings with fimo patterns, various mixed colours ..
Carded "mood" colour change rings, 6 designs, adjustable size ..